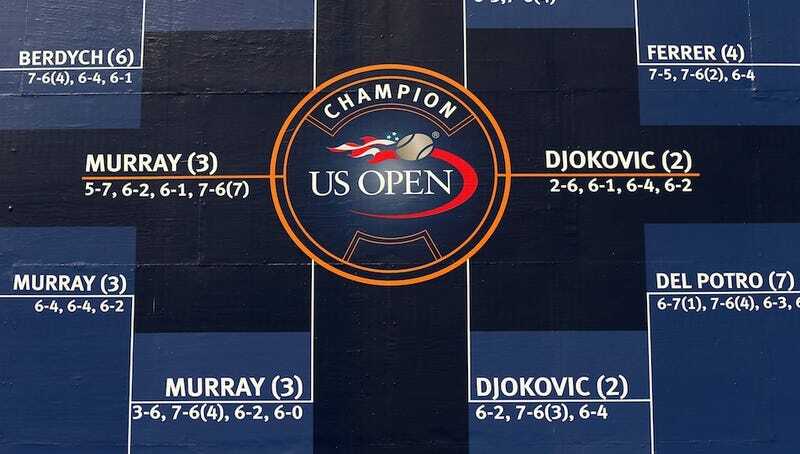 The Murray-Djokovic U.S. Open Men's Final Is On. Let's Watch. Hey, it's time for a fifth straight U.S. Open men's final. Hopefully you're watching at work. Novak Djokovic is gunning for his second Grand Slam of the year; Andy Murray, fresh off Olympic gold, is going for his first. It'll be a battle of defense v. defense. Let's watch. Drop your thoughts in Kinja below.